Brain Plants and Pot Heads? How can you be anything but intrigued by this title? My now infamous “pot heads” all started because of one plant. This guy, an Echinobivia cristata ‘Rainbow Bursts’ that we came across at a nearby Lowes. It was so awesome that Mike actually found it! AND wanted to buy it! As you might guess, we have a plethora of plants at our house and it is very rare that he thinks we need to buy a plant. It certainly looks like a brain plant, doesn’t it? Even the fissure down the center just screams “brain!” at you. 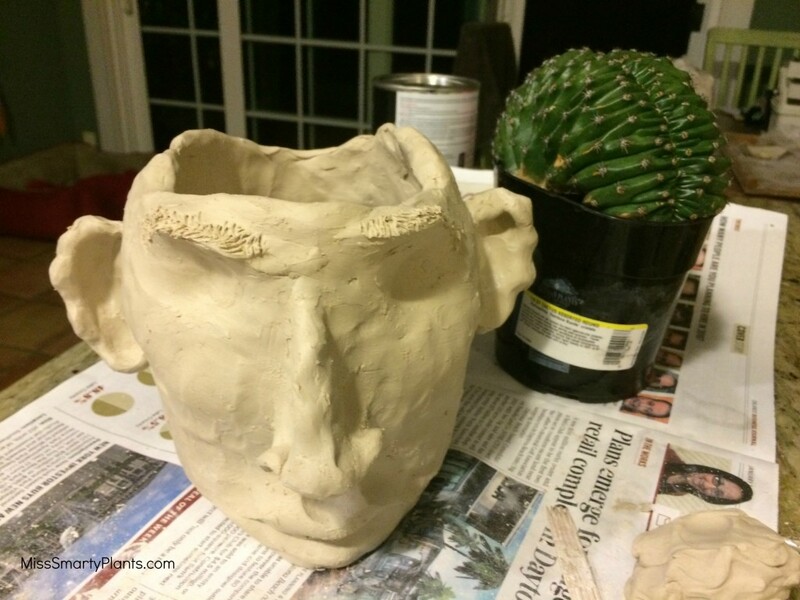 As we were walking around the store looking for a few other odds and ends I offhandedly mentioned that I could make a pot for this where the face would be the bottom part and the top would be open for the “brain plant” to stick out the top. It was one of those ideas that once it came out of my mouth all I wanted to do was get home and start working on it! In the hours that followed the first “Pot Head” was created. I should mention that I belong to a local pottery studio where I mostly make things that are plant related. I have absolutely no experience making things that actually look like real objects or require any sculpting skills whatsoever. 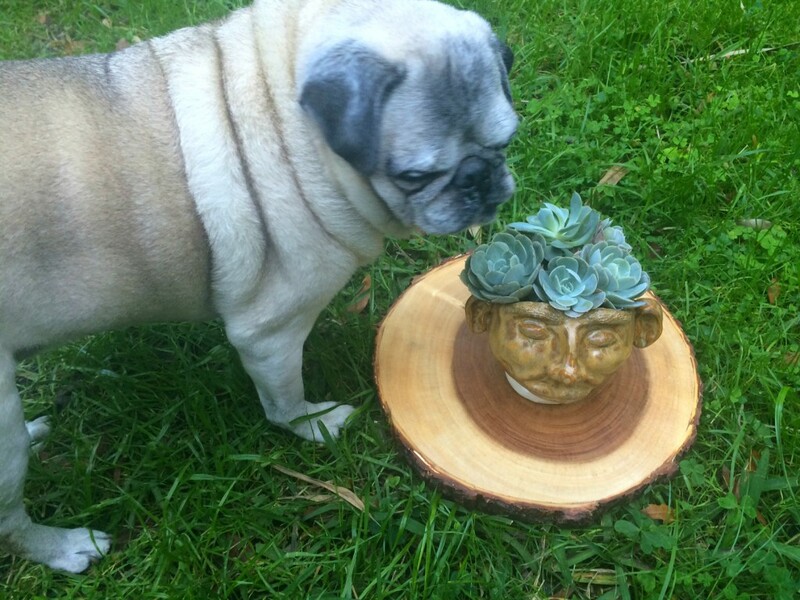 The people at the pottery studio are awesome though and were very supportive when I brought in my first Pot Head to get fired. The time between creation and final glazing was excruciating! 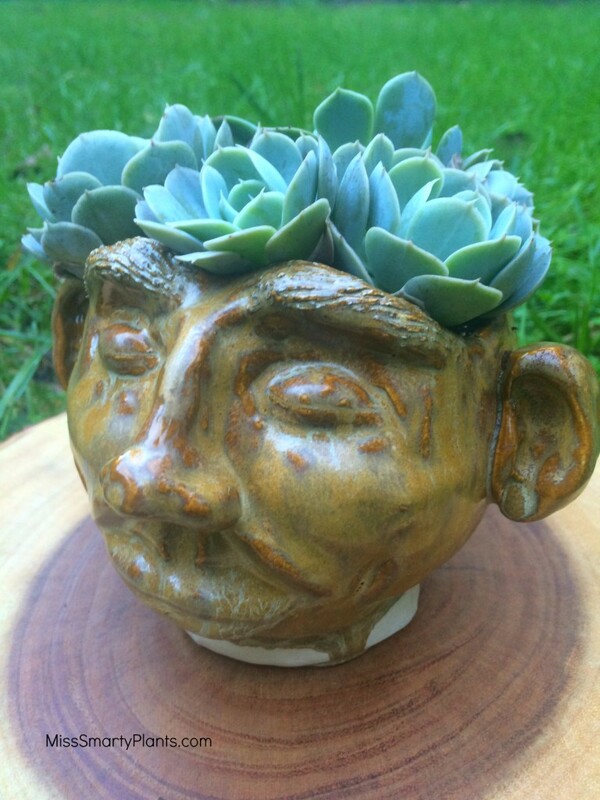 I never knew I needed a pot head so badly until I had to wait for it. The Echinobivia cristata ‘Rainbow Bursts’ waited patiently for its new home, enduring cold weather and rain outside while it the ceramics process was completed. The tag on the pot reads: “Rainbow Bursts” are so named for their spectacular display of colorful flowers during spring and summer. 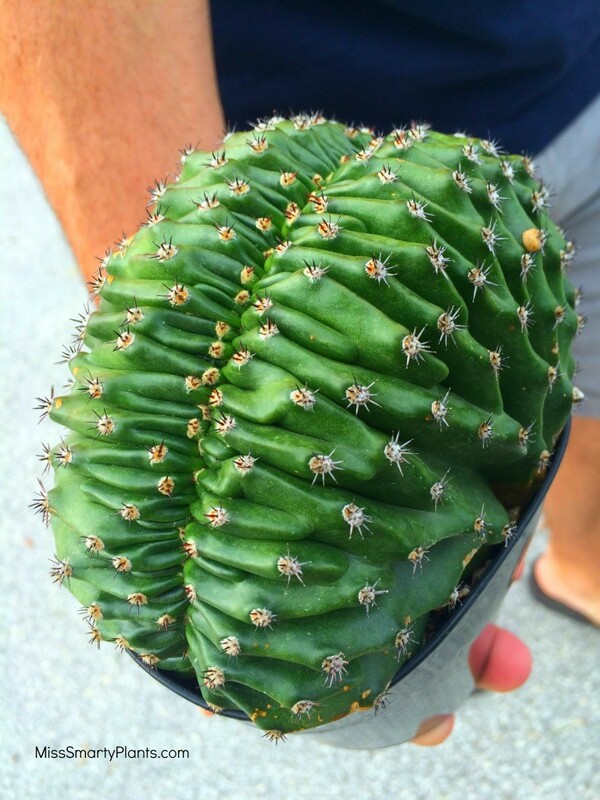 These hybrids are crosses of Echinopsis species and Lobivia species, hence the name Echinobivia. Provide bright light; hardy to 32 degrees; to 6″ tall. Water thoroughly when soil is dry. 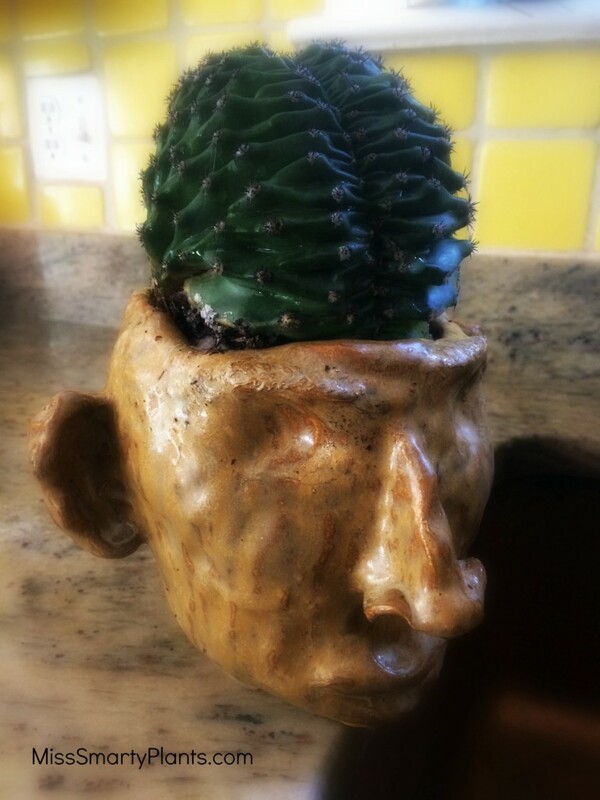 And now I have to admit that I am slightly addicted to creating pot heads. I spent one sleepless night on the couch watching YouTube videos on how to sculpt faces! I think it may have been one of best uses of my time because the pot heads are really improving. 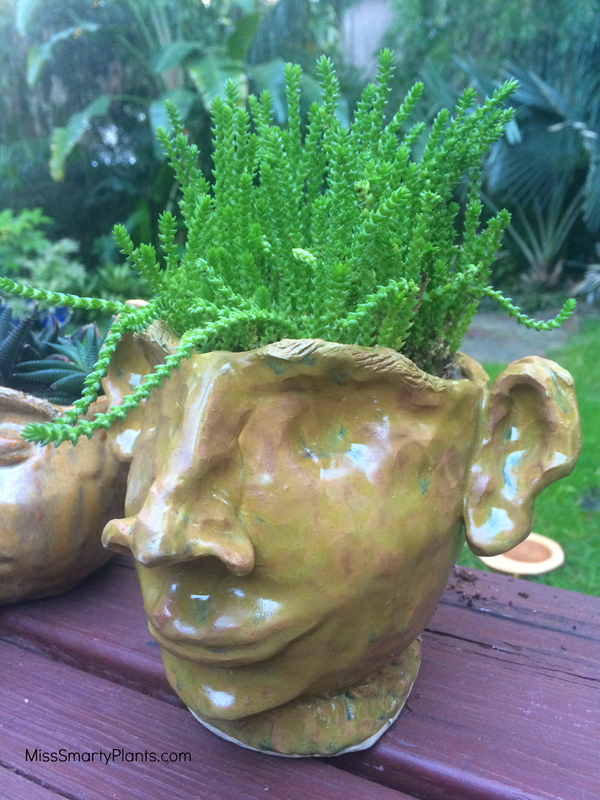 I’ve started looking for other plants to use as the brain plants or as “hair” on the top of the heads. This idea isn’t new and I’ve seen some really cool examples of these online and on Pinterest. 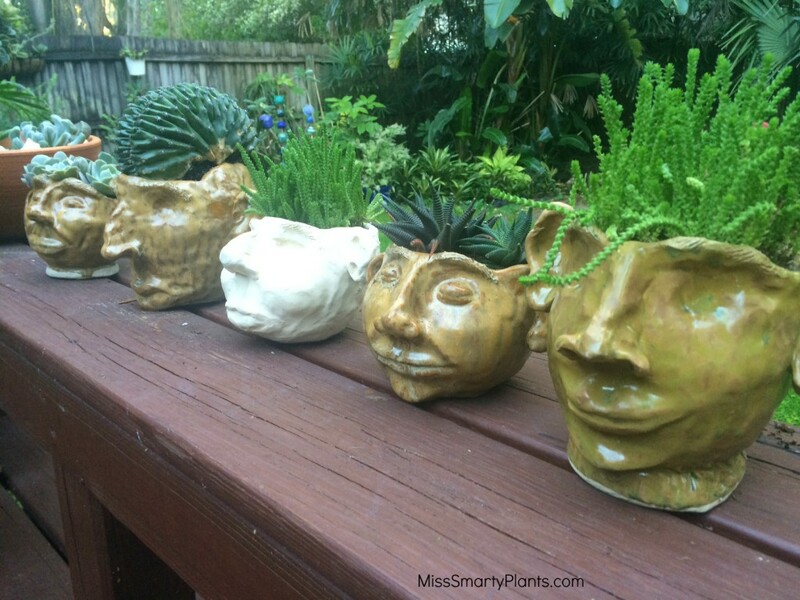 You can check out the “Face Planters” board from Jane Beals or the “Face Planters and Containers” board from Jackie Myers. 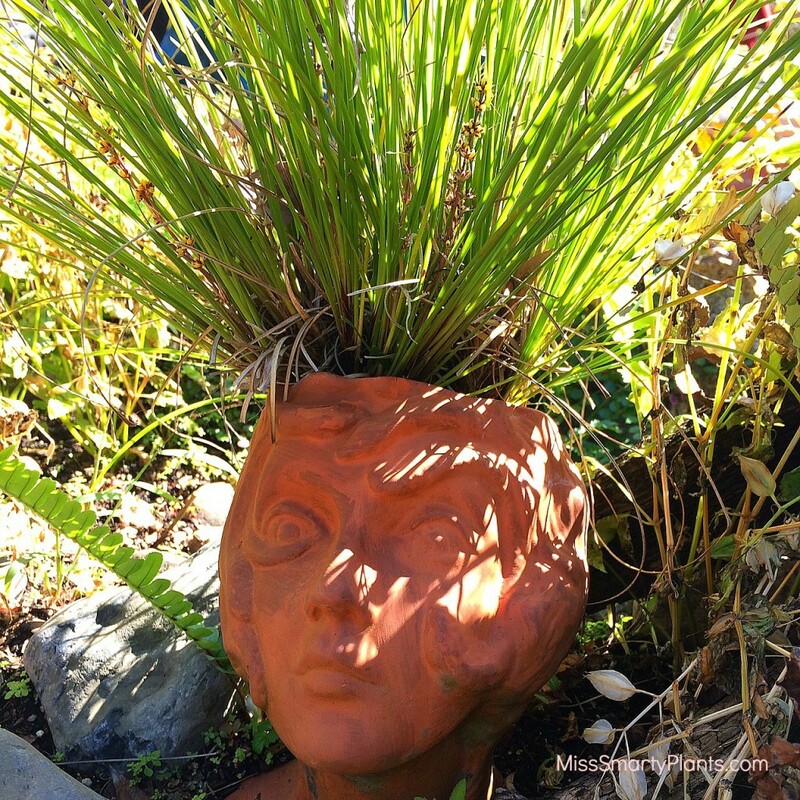 This is a container planted with lomandra at Harry P. Leu Gardens. As another pot head was nearing completion I started looking for other plants suitable for this container. 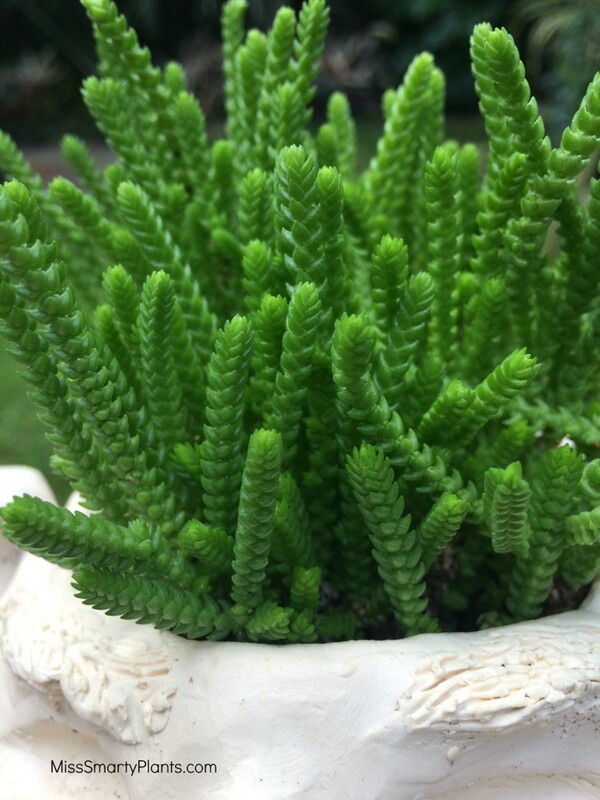 During another trip to Lowes I found cute little 4-packs of Watch Chain Plant, Crassula muscosa. While they may not be brain plants they do stay small, need little water, and look a lot like hair! 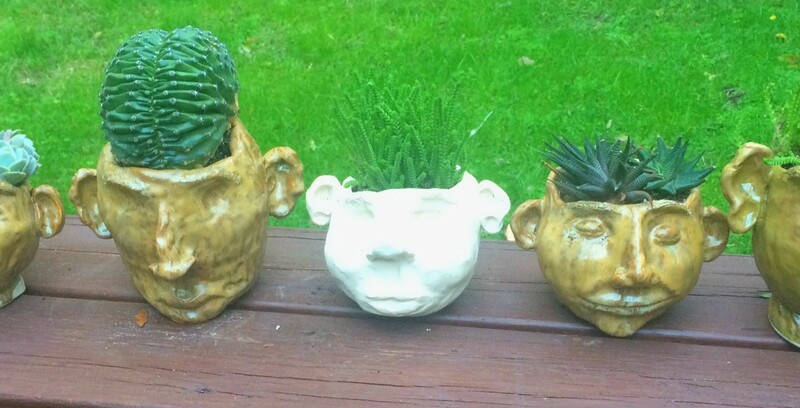 I am working on creating more pot heads as well as searching for other plants suitable for this venture. I love looking at plants in new ways and for new uses and this project meets both of those needs. There are a lot of plants, particularly succulents, perfect for future pot heads.